This is the third in a four part series of articles about the career and research of Dr. Andrew Moulden who died in 2013. Previously, I discussed the opposition he faced from the Canadian medical system when he tried to explain the mechanisms that were causing damage to people who were taking vaccines. He made a strong case to prove that numerous modern neurodevelopmental illnesses are the result of microvascular damage and impaired blood flow. The ministrokes that result from vaccine use and exposure to toxins in the environment and food cause the same type of reactions in the body, and cause a wide range of illnesses. He dared to say that the germ theory of disease and genetic models could not explain the causes of the epidemic rise in modern diseases such as autism spectrum disorder; Alzheimer’s disease; learning disabilities; attention deficit and hyperactivity disorders; chronic fatigue; fibromyalgia; Gulf War Syndrome; sudden death in infants, teens and adults; Parkinson’s disease; and various other conditions of nerve palsy and paralysis that we see all around us. He rightly understood that we are now living in an age when multiple factors combine to create conditions in which modern neurodevelopmental diseases can occur. It is not just the vaccines and the toxins in our environment and food that challenge healthy normal human functioning, but it is also the condition of the body itself — especially the nutritional status and gut flora, which determines whether the reaction to vaccines and environmental toxins will be minimal, moderate, or severe. Zeta potential was shown by Dr Moulden to be an important factor in determining whether vaccines and other toxins will produce severe health reactions. The germ theory of disease tries to explain that diseases are caused by germs. It tries to isolate and condense everything down to a single chain of events that lead to a disease. Exposure to pathogen “A” causes disease “B”, with symptom “C”, which can be treated with pharmaceutical drug “D” or prevented with vaccine “E.” This might work in a test tube or in an isolated laboratory setting full of mice or rats, but in the real world in which we now live, it fails to identify realistic levels of possible harm or to give us cures for common illnesses. Of course, germs are involved in some illnesses, but Dr. Moulden found that germs are not necessarily the direct cause of illness, rather they cause a reaction in the body, which causes illness. It is this reaction that was at the center of Dr. Moulden’s model of illness. Pathogens can sometimes establish themselves in areas where there is on-going microvascular damage and ischemia, because this damage is preventing white blood cells from reaching pathogens. Infections get established because of a weakness in the body — the existence of an area that the immune system cannot effectively reach. Dr. Moulden explained that the thousands of chemicals in our water, air, and food, are limiting the value of experiments that test for the safety of individual substances. Research studies conducted by pharmaceutical companies and chemical companies, used to gain approval of new drugs and chemical compounds, do not evaluate the interactions of their new products with the thousands of toxins that are already in the environment and in factory manufactured food. They just try to show the potential safety of their new patent, as if animals and people were not being exposed to other toxic substances. Thus, their experiments do not detect harmful effects as they occur in real life. Dr. Moulden was quick to point out that the pharmaceutical industry does not identify harmful reactions to their products, because they aren’t attempting to measure the factors that are clear indications of damage. If you don’t know what to look for, then you don’t have to worry about finding evidence of harm. If you use research methods that were designed to show statistical safety for groups of animals or people, then you will not find the real harm that is experienced by individual subjects. Researchers do double blind control group experiments. They do not evaluate the potential harm or effectiveness of the new product within the context of other vaccines and thousands of other chemicals to which people are already being exposed. They also do not use a “within subjects design” to measure health and symptoms before and after giving vaccines for each person tested. They make a serious error when they assume that if a new product doesn’t produce harm when it is tested in isolation that it will not produce harm when it is used along with other toxins. Simply put, scientists do not have the capability to simultaneously analyze the interaction of thousands of toxic chemicals, drugs, and vaccines. Thus they conduct unrealistic experiments, which are incapable of identifying the actual harm that comes from the combination of drugs, vaccines, pesticides, and other chemicals that people are exposed to every day. Drug companies and chemical companies are now turning to genetic abnormalities to explain why people get sick. They want us to believe that it is not their toxic products that are harming people, rather, it is our genetic make-up, which is the problem. Their products are not the problem, we are the problem. Dr. Moulden did not accept genetics as the cause of modern neurodevelopmental diseases. He also did not accept germs as being the cause of these illnesses. His work clearly showed that it was the introduction of foreign substances into the human body through vaccines and other environmental chemicals, which were causing the exponential growth in modern diseases since the middle of the twentieth century. In the previous article I discussed zeta potential and how the electrical charge in the blood needs to be strongly negative to avoid the clumping together of blood cells. We saw that when zeta falls toward neutral, blood cells no longer repel each other and will start sticking together. This creates a situation in which the blood flow becomes sluggish. Blood sludging slows down the flow of blood through capillaries and may completely block blood flow. When this happens, oxygen is no longer available to watershed areas that are served by a single network of capillaries. The result is ministrokes, which can occur anywhere in the body. Sometimes these strokes resolve themselves in a day or so; at other times the damage is permanent. Vaccines, environmental chemicals, and various food additives used in commercially produced food all have the ability to reduce zeta potential to the point where blood sludging and ministrokes can occur. These ministrokes are the cause of modern neurodevelopmental illnesses and syndromes. Low negative zeta levels in blood, however, are not the only cause of microvascular blockage and ministrokes. We must also consider Moulden Anoxia Spectrum Syndromes (MASS), which was the heart of Dr. Moulden’s model of illness. You may wish to read the previous articles in this series before reading the remainder of this article to obtain a more complete understanding of the mechanism of disease that was developed by Dr. Moulden. MASS (Moulden Anoxia Spectrum Syndromes) is a new medical discovery developed by Dr. Moulden. It shows that there are situations where blood clotting and sludging does not follow the three classic clotting pathways described in Virchow’s Triad (see article 2 in this series). MASS is closely linked to zeta potential. It is common for MASS and weakened zeta potential to occur together; but they are two distinct processes. The MASS reaction is technically called excessive non-specific immune hyperstimulation. It is marked by unusually high levels of white blood cells in the blood, which causes blood sludging and blood clotting at the microvascular level of the capillaries. The consequence is ministrokes, which damage normal neurological and organ functioning. Even though weak negative zeta and MASS both cause microvascular circulation problems and ministrokes, the mechanisms are very different. Excessive non-specific immune hyperstimulation causes large numbers of white blood cells to be released into the blood stream. This contributes to blood sludging and clotting, because white blood cells are twice as large as red blood cells, and they cannot pass through the smallest capillaries. The result is that some white blood cells plug up watershed areas in capillary beds. The presence of large numbers of white blood cells at the openings of capillaries prevents red blood cells from passing into the capillaries. They clog up the entry points for the smallest capillaries and cause ischemia. When there is endothelial damage to the inner lining of blood vessels, then the white blood cells tend to cling to the walls of blood vessels and roll along the walls of the blood vessels instead of freely flowing along with the plasma. This reduces laminar blood flow in the smaller blood vessels and adds to the sludging problem. When there is a normal level of white blood cells, there will still be occasional blockages during the typical day. However the body is able to deal with these and prevent harm. When the number of white blood cells is elevated, then the number of capillary blockages will be increased. In situations of vascular inflammation, which is also part of the MASS reaction, some capillaries will functionally be closed off. 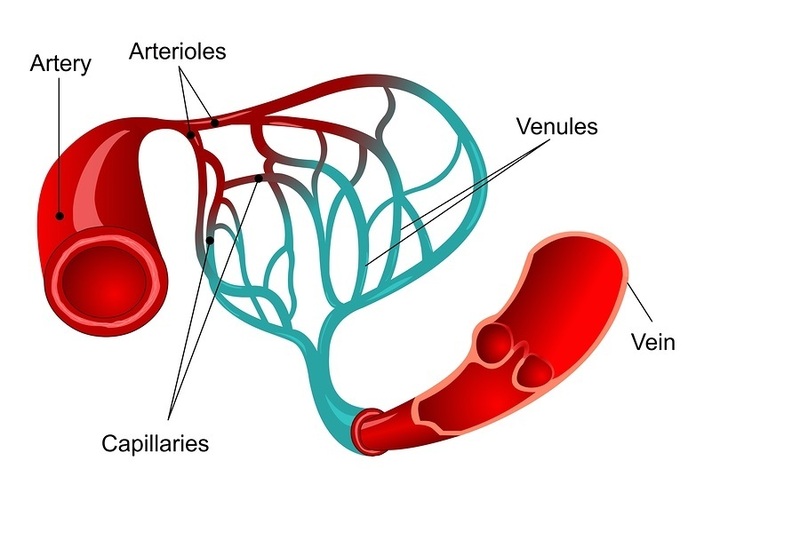 The inner area of the capillaries becomes so occluded that not even red blood cells can pass through them, which starves the cells in that area of oxygen. The MASS response does not follow classic steps in the clotting cascade. The damage caused by MASS is transient, recurrent, and cumulative. MASS responses vary greatly from person to person, and MASS responses can be quite different in the same person at different points in time. The MASS process is recurrent and clinically silent until major damage begins to appear. MASS causes hypoxia (low oxygen), anoxia (no oxygen), ischemia (low oxygen from low blood flow), and stroke (oxygen demand exceeding oxygen supply). These types of reactions cause human disease, chronic illness, disorders, death, vaccine induced autism-spectrum disorders, sudden infant death syndrome, and multi-organ disease and functional impairments. MASS is an overarching principle that stretches across numerous modern diseases compromising human health and wellness, and contributing to morbidity and mortality. Defining the words Anoxia, Spectrum, and Syndromes that are in the acronym M.A.S.S will help describe the process. Anoxia is a condition in which the supply of oxygen to a group of cells or to an organ is absent. Anoxia is the result of restricted blood flow. When the blood flow is very sluggish, the flow can easily be stopped altogether or may even reverse its direction. In this situation, oxygen cannot be delivered to cells and they begin to die. They literally suffocate to death. Dying or dead cells in specific cranial nerve pathways can be observed in the human face, because damage to these nerves produces muscular palsy, which alters the expression and impairs the movement of the eyes, eyelids, and mouth. A syndrome is different from a disease, because it implies multiple causes and multiple symptoms. We tend to think of learning disabilities, autism, Alzheimer’s, irritable bowel disease, Crohn’s disease, colitis, food allergies, shaken baby syndrome, sudden infant death, idiopathic seizure disorders, Gulf War syndrome, Gardasil adverse reactions, schizophrenia, Tourette’s syndrome, chronic fatigue syndrome, fibromyalgia, expressive aphasia, impaired speech skills, attention deficit disorders, silent ischemic strokes, blood clots, idiopathic thrombocytopenia purpura, Parkinson’s disease, and other modern neurodevelopment disorders as being individual diseases that must have individual causes. However, if we step out of the box of conventional germ theory, where every disease has one cause, then it is possible to begin seeing illness and the recovery from illness in a very different way. Doctor Moulden brought the above modern conditions together under the term MASS, because he could see that there were common mechanisms at work in all of them. Spectrum indicates that we are talking about a syndrome that ranges in severity or intensity. The symptoms of the syndrome can range from mild to severe. The disability from the syndrome can range from unnoticeable to death. The word spectrum also applies to syndromes across all age groups. The syndrome can involve babies in utero, infants, children, and adults of all ages. Exposure to the triggers of the syndrome also follow a spectrum. In some people, a small trigger produces a significant set of disabling symptoms, and with other people, high amounts of exposure may only cause minimal changes in a person’s health at that point in time. However, the exposure to the triggers of MASS are cumulative, and it is common to reach a point after repeated exposures to one or more triggers where minimal exposure produces severe symptoms of disease. In some situations a point will be reached where the next exposure triggers paralysis, respiratory failure, and death. There are many triggers for the MASS reaction. The triggers include numerous substances, toxins, metals such as mercury and aluminum, particulates, living or dead bacteria/viruses or portions thereof. Regardless of the trigger, the response of the body is the same. MASS is a generic physiological response. It does not matter that the infectious disease agents in a vaccine have been weakened, killed, or attenuated before they are placed in a syringe and injected into the body. The key point is that something foreign to the body has been injected into it, and the body is reacting in such a way that modern neurodevelopmental diseases result. The cure and prevention of human disease can to be found in understanding the body’s generic MASS response to foreign materials that enter the body. Dr. Moulden stated that the cure and prevention of disease will not be accomplished by injecting foreign entities into the body as prophylaxis. Rather it will be the avoidance of exposure to foreign entities such as vaccines and environmental toxins that will prevent most modern diseases. Vaccines will not prevent disease, because they trigger a MASS response, which causes numerous modern neurodevelopmental diseases. Dr. Moulden made it clear at numerous points that vaccines are not the only trigger for autism and other modern diseases. Vaccinations can be a direct cause of autism spectrum disorders in young children. However, vaccines given to mothers who are nursing their young children can lead to autism as well. This means that a child does not need to be vaccinated to be damaged by vaccines. The MASS reaction also can be triggered by exposure to wild viruses. As a result, the symptoms and causes of death for children exposed to wild viruses can be identical to the symptoms experienced by children who receive vaccines. Both groups of children can have the same cranial nerve damage and the same MASS reactions and the same changes in zeta. 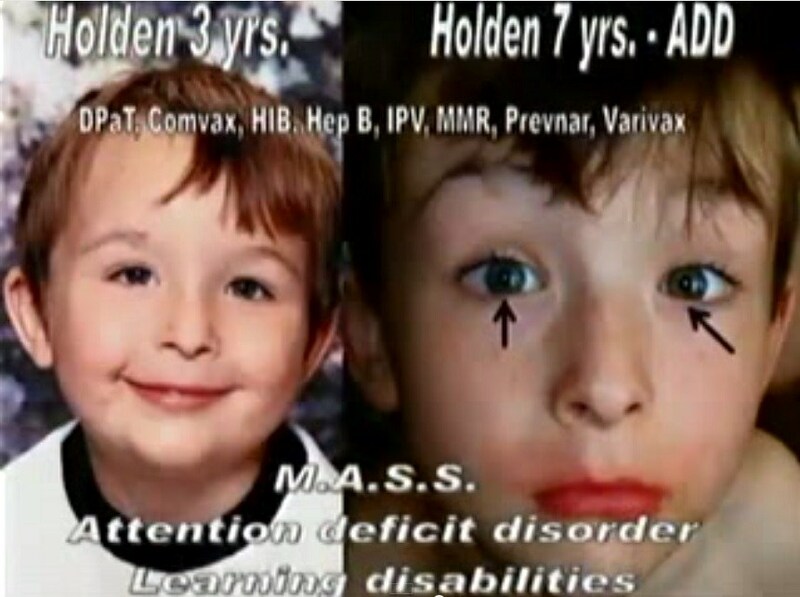 The problem for the pharmaceutical industry and the US FDA is that the numbers of unvaccinated children who have these reactions when exposed to wild viruses is tiny in comparison to the large number of vaccinated children who are being harmed by vaccine reactions on a daily basis. Thus, they irrationally blame the unvaccinated population when their vaccines fail and vaccinated people develop the diseases that the vaccines failed to prevent. MASS should not be thought of as a destructive process, which needs to be treated by a drug. It is actually a normal part of the healing process that is part of all tissue repairs. The reason that MASS causes modern diseases is that virulent organisms and toxic substances trigger an over-zealous healing process known as excessive non-specific immune hyperstimulation. The key pathological characteristics of MASS at the cellular level are hypoxia and lactic acidosis. Hypoxia is a lack of oxygen, and lactic acidosis is the excessive concentration of lactic acid. Oxygen deprivation and lactic acid build-up happens whenever there are disruptions to normal blood circulation in the capillary beds. This condition damages cells in small focal areas that depend upon capillary blood flow to stay alive. It is not infectious diseases and germs that have been causing modern syndromes and disorders, it has been the body’s own non-specific cell-mediated (white blood cell) immune response to foreign substances entering the body that is causing disease, disorders, and the global epidemic of autism and other neurodevelopmental disorders. Vaccines and toxic substances in our food, water, and air all trigger a MASS reaction. Constant and repetitive exposures produce cumulative responses that worsen over time. The MASS reaction may not occur immediately after vaccination. The US government’s vaccine court expects that a vaccine reaction will occur within three days of receiving a vaccine. Most physicians deny vaccines reactions even when they occur within a few hours of vaccination. However, vaccine reactions can happen several weeks, several months or even many years later. Sudden Infant Death Syndrome (SIDS) is the consequence of a MASS reaction. We now know that 70% of infants that die from SIDS do so within three weeks of receiving pertussis vaccine. Dr. Moulden explained that in the case of the anthrax vaccine, women who took this series of vaccines were warned to not become pregnant until 18 months have passed from the time of their last anthrax vaccine dose. They are warned that their children could be born without arms and legs if pregnancy occurs earlier. There can be skin reactions at the vaccination injection site caused by the aluminum in vaccines. These reactions can occur immediately after vaccination and can continue for seven or eight years. In some cases, skin reactions may not appear until one to six years later. Aluminum is persistent in the body, and when it is combined with other MASS triggers, reactions can occur long after vaccination. These delayed reactions are ignored by most of the medical establishment, because the reaction time is not predictable. Dr. Moulden identified aluminum as being one of the most dangerous factors leading to the MASS reaction. The use of aluminum salts to stabilize vaccines exacerbates the effect of vaccines by a multiple of 6,000 times. Thus, aluminum is one of the most powerful agents for stimulating a MASS reaction. Aluminum has been exempted from testing for safety by the FDA under a convoluted logic wherein it is classified as GRAS (Generally Regarded As Safe). It has never been tested by the FDA on its safety and there are NO restrictions whatever on the amount or use of aluminum. Aluminum toxicity is a widespread problem in all forms of life, including humans, animals, fish, plants and trees, and causes widespread degradation of the environment and health. Over 7,000 reference articles on aluminum toxicity existed in various data bases as of 1936, (today, there are more than a million) all recognizing the toxicity. There are over 2000 references in the National Library of Medicine on adverse effects of aluminum. The MASS reaction can be triggered even before the zeta potential has fallen to dangerous levels. However, lowered zeta potential eventually emerges even if it only appears at the microcirculation level of the capillaries. The end result from either cause will be clotting within the tiny blood vessels and impaired oxygen delivery to cells and tissue. Several factors come together to cause localized anoxia in capillary beds. When zeta potential is low, then cells clump together and restrict blood flow. When there is endothelial damage to capillary walls, then blood clots may form, which can restrict or completely block blood flow. The presence of endothelial damage or toxic substances in the body will cause white blood cells to roll along the walls of blood vessels instead of moving freely with the plasma. This also slows blood flow. Excessive numbers of white blood cells will block capillaries and prevent red blood cells from entering. Any of these mechanisms can cause problems by themselves, but when they combine as they do in a MASS reaction, then serious consequences will result. When the combination of these mechanisms occur in watershed areas, then serious harm can be caused, because blockages in these capillaries are more critical for sustaining health and life. When the MASS reaction occurs in the brainstem in the respiratory center, then a child will stop breathing and die even though there are no other abnormalities in his or her health status. The bottom line is that if we wish to prevent the triggering of a MASS reaction, then we must avoid putting foreign substances into the body. We need to avoid putting foreign things such as vaccines, environmental toxins, chemical food additives, glyphosate and other pesticides, genetically modified organisms, mercury, lead, arsenic, and anything else that would change the clotting potential in the body. We must avoid injecting, eating, drinking, breathing, or smelling substances that can evoke a MASS reaction or damage zeta potential if we want to be healthy and live long lives. We must help our children avoid these exposures if we want to provide an opportunity for our children to have normal development and become functional adults who are capable of reproducing and raising families. In the fourth article, I will describe Dr. Moulden’s non-invasive system for identifying vaccine related damage. Most of the tests can be done at home without any special equipment.